Hurray folks! Tulip time has arrived in The Netherlands. Actually, we can buy tulips here from the moment we chuck out the Christmas tree. But the gorgeous tulip fields that have made our country so famous, are in full bloom right now. Since seeing them is probably on top of your ‘what to do in The Netherlands’ list I thought I’d provide you with some useful (and not so useful) facts about the Tulip Fields of Holland. Plan your trip to The Netherlands and see the Tulip Fields! Fly into Amsterdam. You can fly cheaply to Amsterdam from many destinations around the world and Amsterdam is a good base to go and explore the Dutch tulip fields. 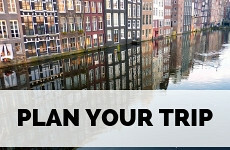 Check out cheap flights to Amsterdam. Get yourself an OV Chip Card, this chargeable card, grants you access to all public transport in The Netherlands. This will help you get to the Tulip Fields. It’s easy enough to go and see Holland’s Tulip Fields if you’re staying in Amsterdam. This comprehensive map shows you where to see the flower fields and which busses to take from Amsterdam to go and see them. To plan your stay in Amsterdam, take a look at my complete Amsterdam City Guide. 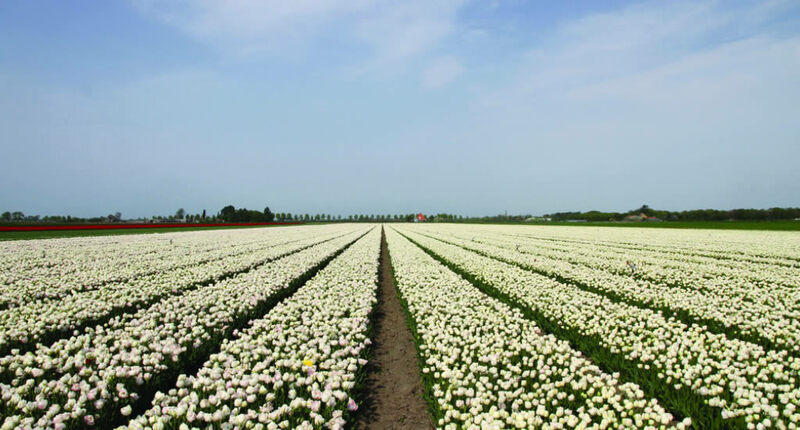 When can you see the Dutch flower fields? From mid-March to mid-May parts of The Netherlands are transformed into a sea of flowers. The crocuses pop their heads up in March, followed by hyacinths and daffodils. Tulips start to bloom in mid-April and will show their colours until mid-May. The long Dutch spring, with mild days and cool nights, make The Netherlands perfect for growing tulips. Where to see Dutch tulip fields? 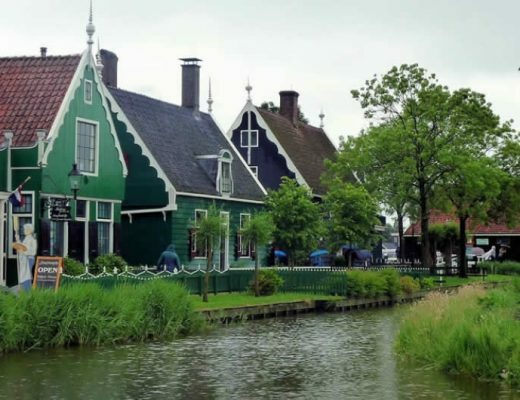 If you don’t know the difference between Holland and The Netherlands, please watch this video. 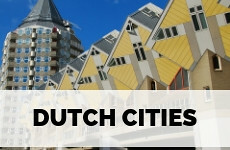 Then you’ll understand why I am always talking about The Netherlands in my blog posts, as this website is all about this entire country. But when it comes to tulips, you can actually see them in Holland, and more specifically, the North Holland province. You can see tulips north of Amsterdam, roughly between Den Helder, Schagen and Medemblik. The soil of the dunes is very fertile and perfect for growing tulips. 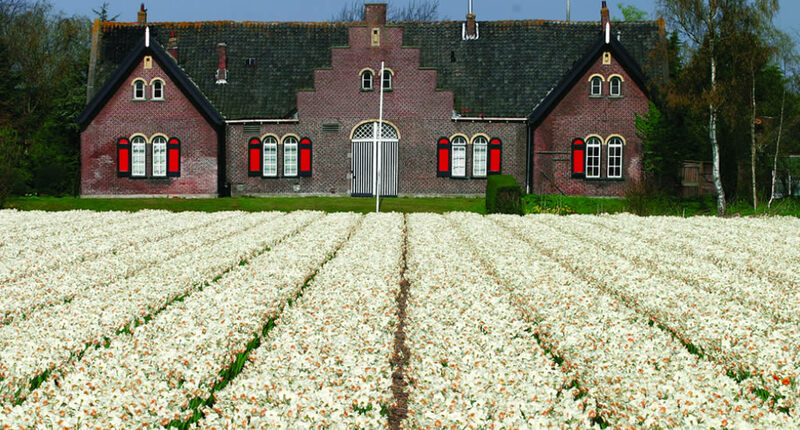 Then there’s the region between Hillegom, Lisse and Noordwijkerhout, which is probably my favourite place to see tulips and it’s wedged between the beautiful cities of Leiden, Haarlem and Amsterdam. So some tulip-spotting will also give you the opportunity to check out these fine cities. 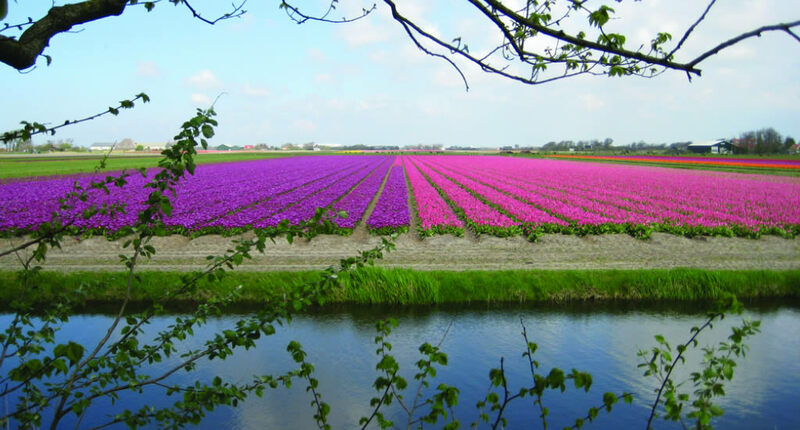 Last but not least, you can see Dutch flower fields in the region between Hoorn, Enkhuizen and Medemblik. If you’d like to see as many flower fields in one day or weekend, consider renting a car and driving the Flower Field Route. You can either download the PDF or the ZIP-file to upload into your GPS. If you don’t have a lot of time to plan a trip by yourself to see the different flower fields of Holland? 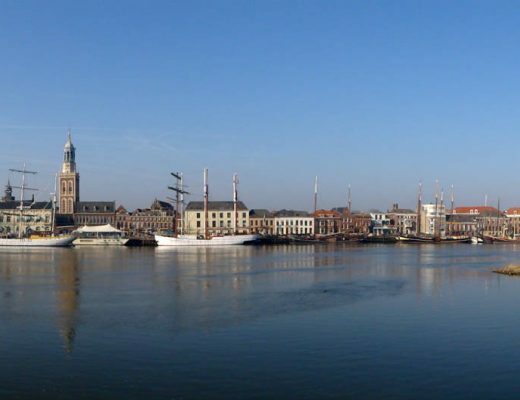 Don’t worry, from Amsterdam you can also take several day trips. 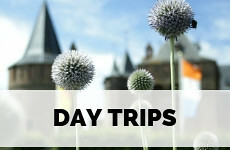 A visit to the famous Keukenhof gardens and a tour of the most beautiful flower fields of Holland. 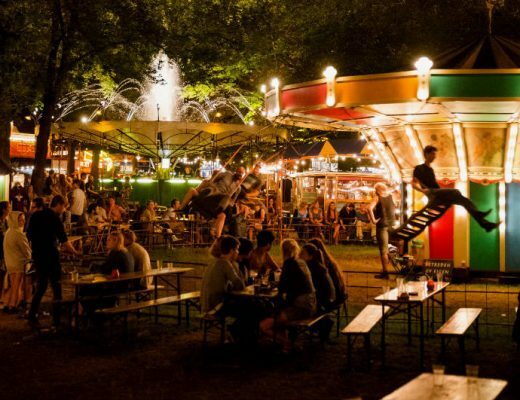 The ultimate Dutch experience! Hope on a bus to Sassenheim from Amsterdam and enjoy the flower fields of Holland by bike, and see 2 castles while at it. What happens to all these tulips? Actually, and this may come as a bit of a shock to some of you, but tulip growers don’t care about the flowers. For them, it’s all about the bulbs. The bigger the flower bulb, the more money the farmer can make from it. Not long after the tulips bloom, the growers will chop off the actual flowers, leaving only the stem and leaves. These provide nutrition for strong bulbs. How long do tulips grow? If you’ve ever put tulips in a vase, you know that they don’t last very long. Tulips basically bloom between 3 and 7 days. So, why is it that you can see fields and fields of them in Holland? Well, first of all: you will also see fields full of other flowers. 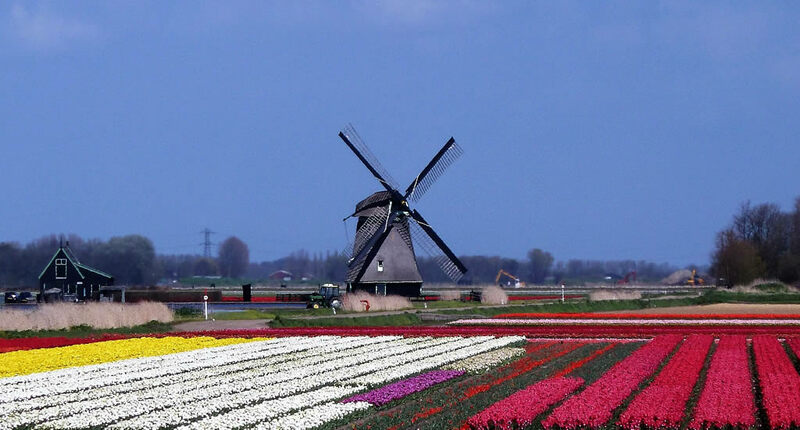 Second of all, tulips and other Dutch-grown flowers are in high demand, so farmers have planned for this blooming period between March and May to take full advantage. How many tulips are grown? Growers plant the bulbs in October, so the flowers will bloom between March and May. 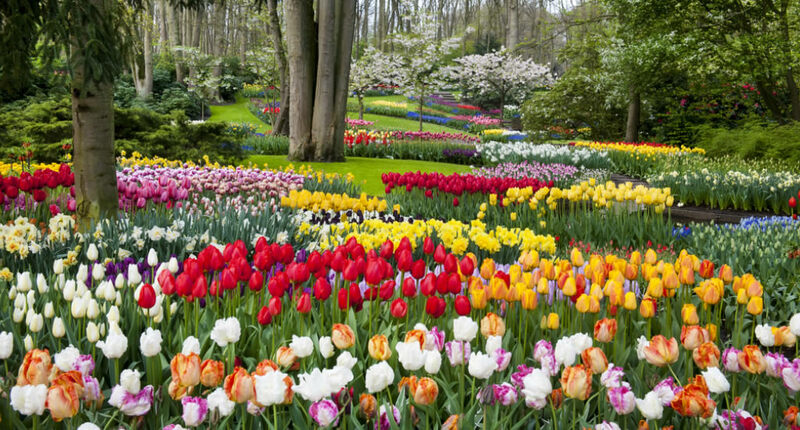 In total 15549 hectares of flower bulbs are grown in Holland, 11693 hectares being tulips. Do tulips stay in The Netherlands? Nope! Though we Dutch have a soft spot for tulips and we can buy them in shops and supermarkets from January on (these are mostly from greenhouses), most flowers and bulbs are exported. The Netherlands export over 3 billion (!) tulips and tulip bulbs every year. Fun fact: for the urbi et orbi by the Pope at Easter, Saint Peter’s square in Rome is completely decorated with Dutch flowers. These flowers are shipped to Vatican City 5 days before Easter. Though the Holland provinces have the perfect soil to grow tulips on a very large scale, tulips are actually not from The Netherlands originally. They are from the mountains of Kazakhstan and found their way to The Netherlands via Persia, China, Turkey and Antwerp. The first time the tulip appeared in The Netherlands was around 1593. 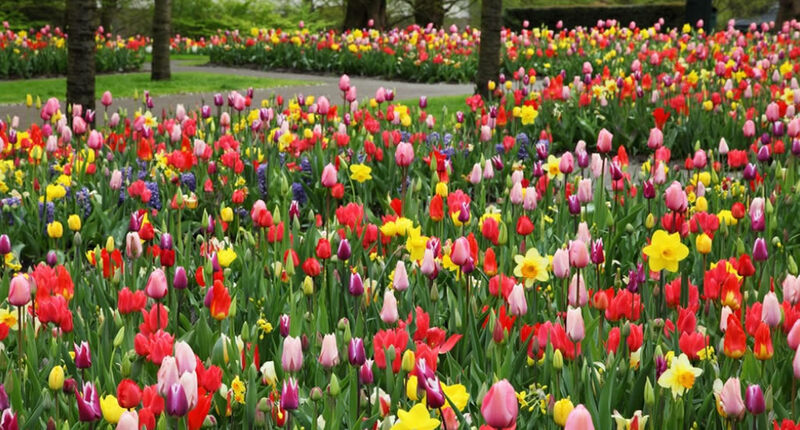 At first, they were just grown in the Hortus Botanicus in Leiden and only visitors were allowed to set eyes in the pretty flowers, but soon tulips spread all over the country causing Tulip Mania (we actually consider this an official era in Dutch history). This period in the Dutch Golden Age (at the beginning of the 17th century) was period in which contract prices for bulbs of the highly fashionable tulip reached bizarrely high levels. At some point in this era, one tulip cost what the average man made in 10 months. The market collapsed in 1637. Tulip Mania is considered the first speculative bubble. The Keukenhof Gardens. It’s A Thing, I suppose in The Netherlands. 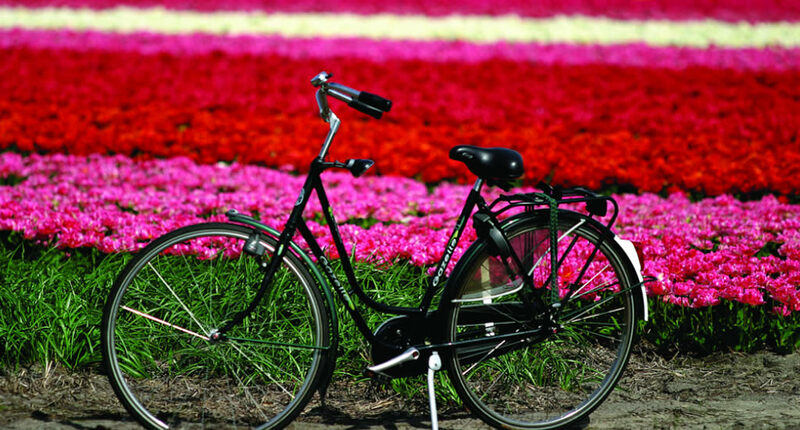 Especially for foreign visitors who’d love to see all the amazing Dutch flowers displayed in various pretty ways. Personally, I think driving or cycling through the fields, taking in the giant scale of it all, is the best experience to have. But if you don’t have much time or you don’t feel like doing a lot of planning, visit Keukenhof Gardens can be a good idea. Forst of all: you are guaranteed to see lots and lots of different flowers between the end of March and the beginning of May. In the park of Keukenhof, over 7 million flower bulbs are planted every year and you’ll be able to spot various varieties of tulips, hyacinths, roses, carnations, irises, lilies, daffodils and orchids in dozens of beautifully landscaped pavilions. Yes, you’ll be amazed by the explosion of colours and scents. 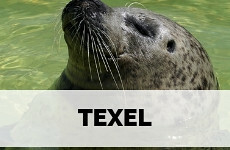 To escape the large groups (and there are so many every year, I guess that’s why we Dutch are reluctant to visit), I advise you to buy your tickets online in advance and get there early. From Amsterdam Central Station take bus no. 397 to Keukenhof Gardens. From Amsterdam-Zuid train station take bus no. 341 to Keukenhof Gardens. Tell me, have you seen Holland’s Flower Fields? They look beautiful! I have learnt some new things here. My Mum was a florist and used to get up very early to go to the market in the UK to collect her flowers from Holland. That is such an interesting post and just look at the pictures – so so so gorgeous!!! Haha, glad I changed your mind Bea! Wow, your photos are incredible and would love to visit Holland during tulip season. I will need to plan a tip well since I tend to visit Europe in May or October. The facts about the flowers are very interesting. I do not understand the idea behind the bulbs being the important thing. So, the stronger the bulb the longer the life of the plant? The beginning of May is a great time to visit, though it can be quite busy as it’s May vacation here. 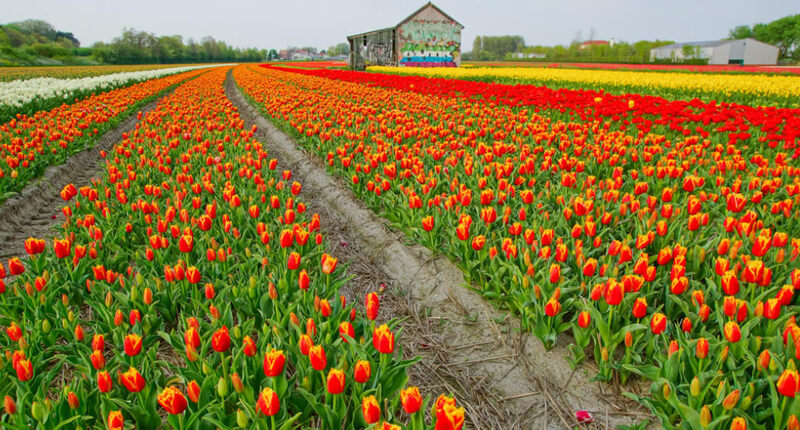 Since The Netherlands are an export country through and through, strong tulip bulbs are very important for trade. When they’re strong, they can travel further, they will keep longer and will be of more use to the end user. We loved basing in the beautiful little town of Haarlem to explore the tulip fields two years ago. We, unfortunately, didn’t get those lovely blue skies in your fabulous photos, but the fields and fields of colour more than made up for it! Have you seen the tulip parade? Bloemencorso Bollenstreek? 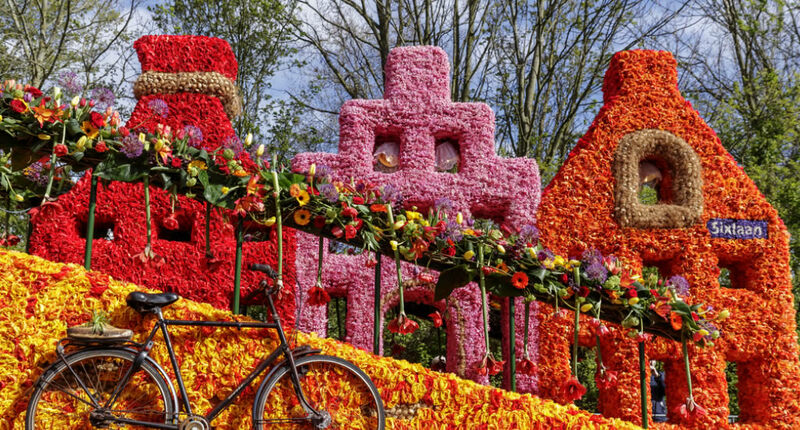 Charming and fun flower filled floats – parade ends in Haarlem, but we caught it en route from Keukenhof. The corsos are spectacular! If you ever have the chance, go and see the flower corso of Zundert! This is such a useful, informative post, Esther. 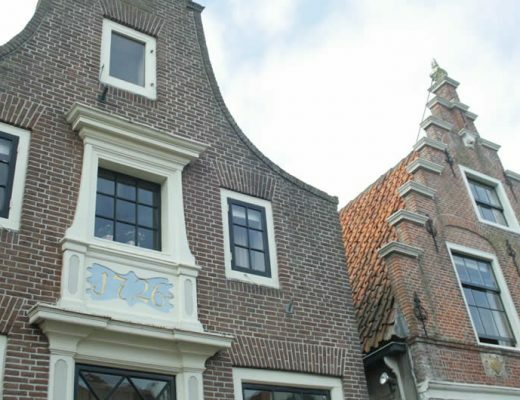 I was particularly interested to read more about the history of tulips in the Netherlands. I love tulips and seeing the fields of them is something I’d love to do one day. Perfect timing, we’re heading to the Netherlands in a few days! Can’t wait to see these tulip fields in person. Oh, how exciting! I hope the weather cooperates and you’ll see loads of flowers! 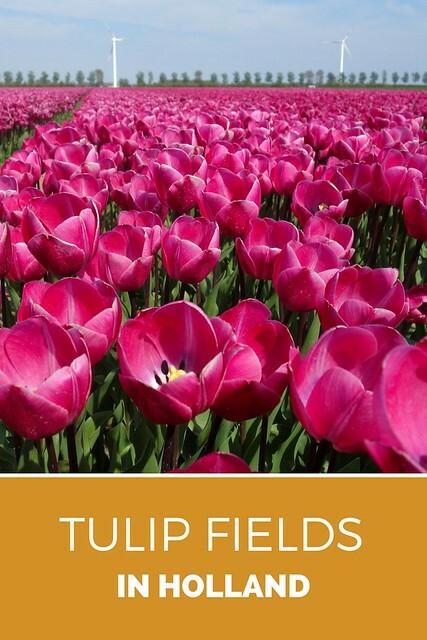 Such an informative post about tulips, I learned so much. I think it’s super cool that “Tulip Mania” is an actual are in Dutch history. A real example of “flower power” haha. 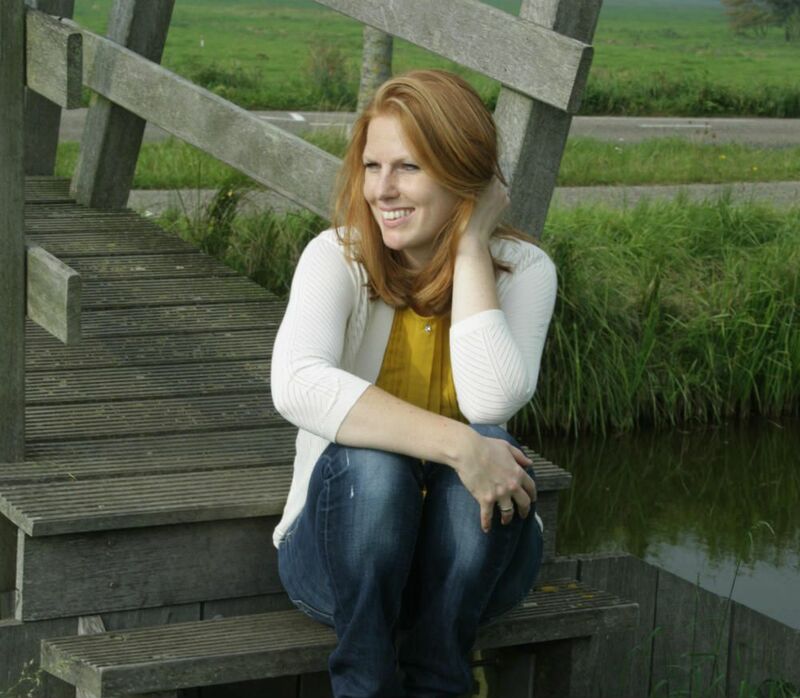 Just added Keukenhof Gardens onto my travel to-do list thanks to your post! Haha! Yes, I guess we have flower power down to an art form. Oh to be honest, I don’t think there is a right season to visit The Netherlands. It’s fun whenever you come. 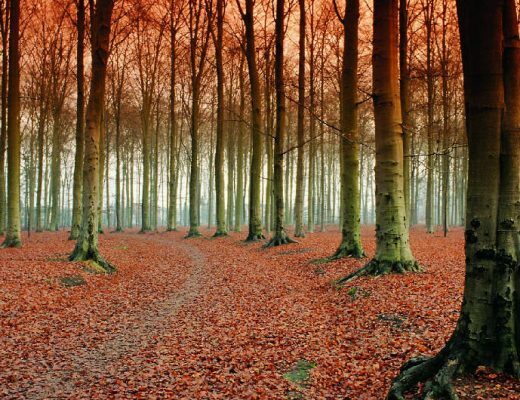 Personally, I love autumn in The Netherlands as fall foliage and autumn cuisine is pretty amazing here. Tulip Mania! Love it. So many great bits of info and facts here. I could just stare at tulip fields all day long, and your photos are stunning. Indeed, I’ve seen beautiful tulip displays in Istanbul as well! This looks beautiful! I’ve been to the Keukenhof Gardens. But I would love to see the tulips in the fields. I’m DYING to visit the Tulip fields! And when I go, I’d love to fly into the Netherlands for an overhead view of the fields! So many great tips here, I definitely pinned for later! wow, I am totally speechless! I’ve already heard about Hollands tulip field even saw some photos. But this post… Thanks a lot, it goes straight to our Pinterest bucket list board. Oh, the bike trips are fabulous! Can’t make it this year, but next year for sure! Wow — so lovely and colorful! We had a trip planned here 2 years ago, but we had to postpone to the fall due to a health issue. Maybe someday I can visit in the spring! Most definitely something I want to do someday. Beautiful – and beautiful photos! This post reminded me that I wanted to read and learn more about Tulip Mania. I find it fascinating. Your photos are stunning. I love nature and flowers, so I would love being able to do the Flower Field Route. Totally agree with you about Keukenhof, and I’m not even Dutch. You’ve probably seen this before, but I was laughing at the sheer absurdity of tourists *inside* the park (expensive entrance fee and queues) straining to get a photo of the surrounding tulip fields immediately outside (free, uncrowded). Tulip madness, indeed. 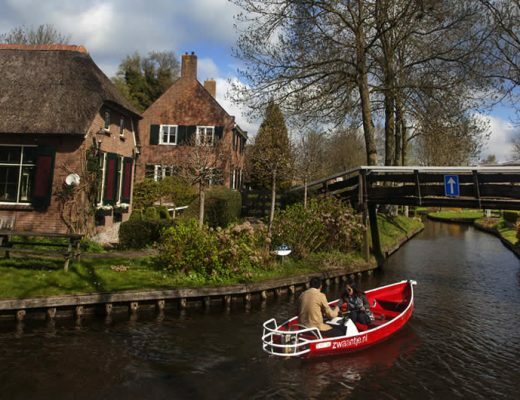 The last time I went to the Netherlands it was during winter … I have to go back there during spring because those pictures are so beautiful!